Description: Weather in September is not that bad at all! 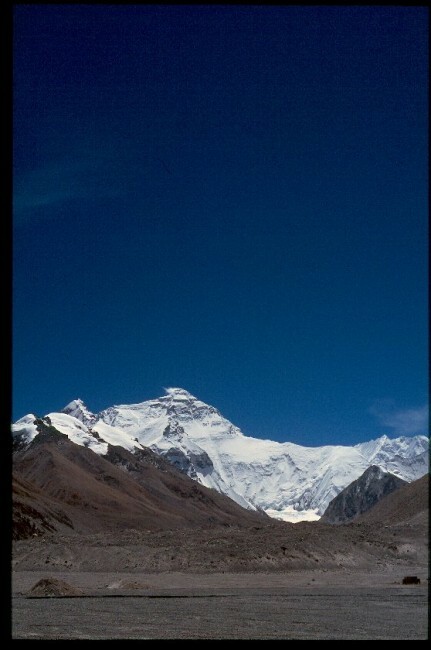 This is the view to Everest North Face from the small hill next to BaseCamp. Totally right you see the steep snowy walls Nuptse, in front of Everest is Changtse.